Is Your Construction Company Prepared for OSHA’s New Silica Dust Limits? Is Your Company Prepared for OSHA’s New Silica Dust Limits? Every jobsite in America will change—for the healthier. On that date the U.S. Dept. of Labor’s Occupational Safety and Health Administration (OSHA) will enforce a ruling aimed at better protecting workers from respirable silica dust—a dust created when users cut, drill, grind or perform other jobs in concrete or masonry. The new rule substantially reduces the allowed silica dust exposure limit from 250 micrograms per cubic meter of air to 50 micrograms averaged over an eight-hour day. To help companies move toward compliance, Bosch offers a variety of dust-control products under its PRO+GUARD™ banner for applications that incorporate concrete drilling, chiseling, tuck pointing, surface grinding and cutting. By developing dust solutions for stringent European health standards, Bosch has created a full assortment of products that have been jobsite tested including best-in-class accessories, attachments and EPA-certified dust extractors that help users reach compliance. 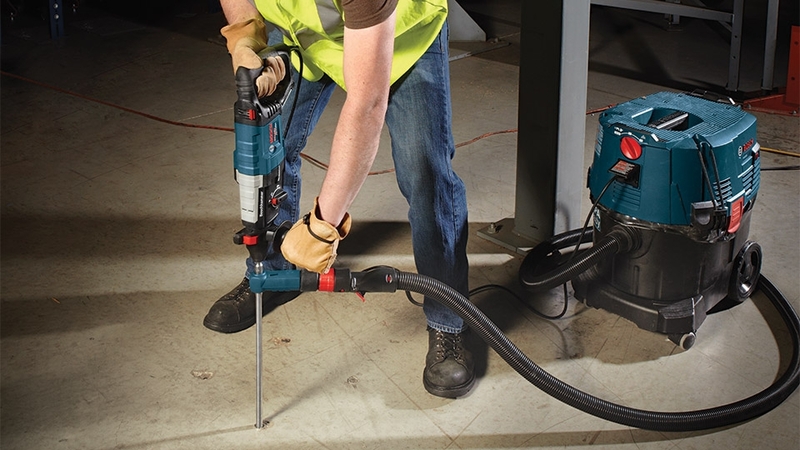 One example of these products is Bosch’s Speed Clean™ dustless drill bits, which represent the foundation for a comprehensive system to minimize airborne silica dust. 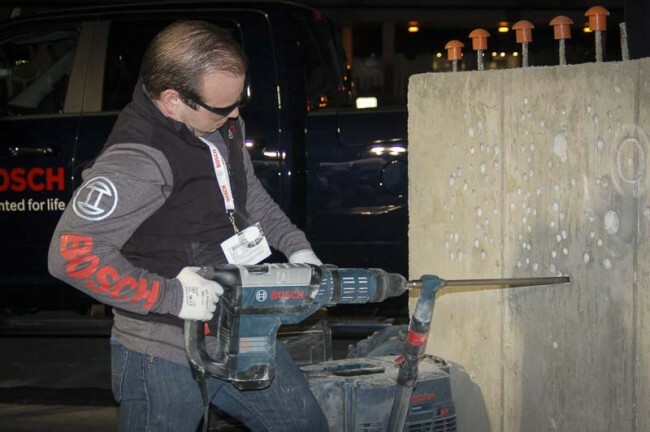 Not only is dust efficiently removed while drilling, productivity is increased thanks to greater drilling speed that can result in time savings of up to 50 percent per hole when installing chemical anchors. According to OSHA, more than 2.3 million people in the U.S. are exposed to silica dust (OSHA.gov) on the job; inhaling this dust has been suspected as a workplace hazard for decades. Airborne silica dust may penetrate deep into the lungs, causing diseases like silicosis(Centers for Disease Control), lung cancer and kidney cancer. Improve the health of your workspace and meet and exceed environmental regulations with advanced dust-control solutions from Bosch Tools. To learn more on how your construction company can reduce airborne silica dust as well as reduce drilling and filling time by up to 50%, please visit our Speed Clean™ page here.